By Draac - 12-15-02 Click on thumbnail for a larger view. Above images are from Amazon.Com. A month or so ago I purchased a T-Mobile Sidekick (I just love new toys..:+). What is a T-Mobile Sidekick you might be asking ? Well, it is a hand-held, multi-task, electronic device that is not only a cell phone but an Internet device as well. The T-Mobile Sidekick features a Cell Phone, Two-way Text Messaging, Internet Browser, Email Messaging, AOL® Instant Messenger™, Digital Camera, Games, and Organizer all in one ! It all runs on the only nationwide GPRS Network. None of the information is kept in the device itself, it is stored at T-Mobile. This allows you to logon to your account at T-Mobile's web site, edit, email and organize right on the web site. All information edited on your account at the web site will be available on your Sidekick the next time you turn the device on. Here is a screen shot of the T-Mobile web site console. The screen resolution is 16 shades of gray, which results in a pretty clear picture. The text is small but clear and can be read quite easily. The device is backlit (when needed) and typing an email on the QWERTY keyboard is easy and quite fast once you get used to it. The Sidekick is a little bulky, but it's not really a factor. It comes with it's own leather side pouch which clips onto your belt. It's weight is 5.2 oz. and the overall size is 2.7 x 4.3 x 0.7 inches. The rechargeable battery lasts about 60 hours (I recharge mine every other day). Cost: The T-Mobile device itself cost me $199.00, but I received a $50.00 rebate which brought the price down to $150.00. You can receive up to $150.00 back with special rebates (through Amazon, while offer lasts) since I purchased my Sidekick, bringing the cost down to a mere $99.00, see the T-Mobile Sidekick link above. The plan that came with my Sidekick was $39.00 a month, which gave me 200 anytime phone minutes, 1000 night minutes, 1000 text messages and unlimited data transfer for the web for the first year (got to love that). Although the Sidekick is a pretty good Cell Phone as far as quality of the voice and ease of use, it is not a phone for heavy Cell Phone users. The 200 anytime minutes (1000 night) per month isn't much, but for a light Cell Phone user like myself, it is enough. The Sidekick Cell Phone does come with Voicemail but if you plan on using this device primarily as a Cell Phone, then I suggest that you choose another product. What else can I say except that the AOL® Instant Messenger™ on the Sidekick works great ! It's fast and easy to use. It has a Buddy list you can add to, and even has the AOL® Instant Messenger™ sounds. 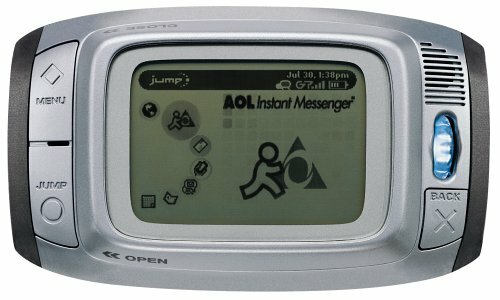 Although I do not use this feature too much, I have to say they have done a fine job at incorporating the AOL® Instant Messenger™ into the Sidekick device. You can send and receive text messages to other cell phones. This feature works well and has almost become a standard feature on most new cell phones. I use the Two-way Text Messaging throughout the day when a few text words can take the place of an actual phone call. It's more of a novelty digital camera than anything else. The snapshots are very small and are best shot at close range. My Sidekick came with a free digital camera attachment. The Sidekick can shoot and hold 32 snapshots that can be sent by email to anyone around the world. Here a few of sample shots taken with the Sidekick Digital Camera, shot at different distances. The Sample Photos Below are Actual Size From The Camera. As an Organizer it seems to have everything to suit my needs. A Calendar that you can program events into, an Address Book for your phone numbers and email addresses, etc., a "To Do" and "Notes" section to use for personal reminders or notes to yourself that you might want to make throughout the day. Not much here except a few simple games to amuse you when there is nothing else to do. I think if they had added Solitaire or games like Blackjack or Poker, then it would rate a bit higher in my opinion. Perhaps in the future better games will be available ? All in all, the T-Mobile Sidekick is a good value, fun and handy to use. I'm happy so far with my purchase of this product and would recommend it to anyone who enjoys the idea of mobile emailing and does not require the use of a cell phone all that much. 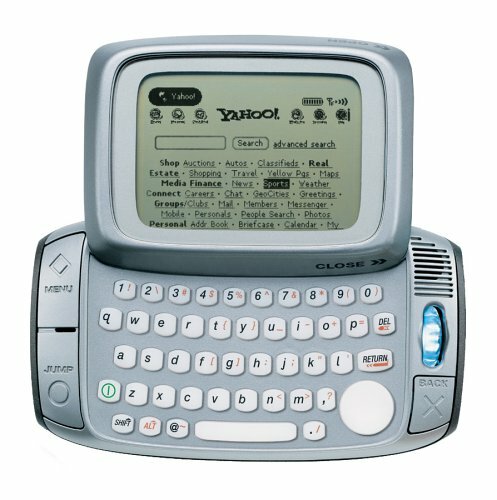 I'm hoping someday T-Mobile comes out with a full color display version of the Sidekick. In my opinion that would make this device even more desirable. Hats off to T-Mobile and Danger Inc. for producing a product who's time has come.